OEM Totally Waterproof Keyboard for Panasonic CF-31, CF-30, CF-53, CF-29, Cf-52,in GRADE A physically and PERFECT working condition. Item is used, pulled from OEM CF-19. Genuine Panasonic Toughbook. for Toughbook CF-31. Right Side Data Port Covers. Lot of Four. Also take a look at our policies listed below. DVD CD-RW Drive Multidrive. 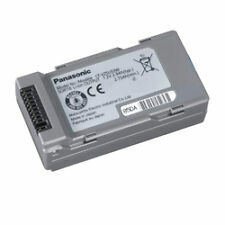 Genuine Panasonic Toughbook CF-VDM302U. This includes, but is not limited to, RAM slots, LCD screens, Fans, Ports, Motherboards, etc. We do NOT provide technical support, installation instructions, or manuals. The Gobi Board (SONY GXB5005). This part is full screen assembly pulled from a Panasonic CF-19FCGAXCM. Part number rear cabinet assembly: DFKM522. Part number for screen: SU-1001P-02X. For Toughbook. For Panasonic. If approved, we will provide instructions for submission of your label or account details. Screen Finish. Screen Size. Whether it's a laptop, desktop, LCD, printer or one of our other amazing deals, each piece is coming to you off-lease. This screen and inverter board will work with CF-52GUN MK2 touch screen only. Panasonic Toughbook CF-52 LCD Cover A- Condition Hinges and Wifi Antenna. Condition is Used. Shipped with USPS Priority Mail. Panasonic Toughbook CF-30 WWAN Left AUX slot Cover. Condition is Used. Shipped with USPS First Class Package. Panasonic Toughbook OEM CF-19 Door Covers (MK1 / MK2 / MK3 / MK4 / MK5 / MK6) with screws. Battery Door Cover. Hard Drive Door Cover. Panasonic Toughbook CF-31 Smart Card Reader. Compatible with the following Toughbook Models CF-31 A / B / C / D / E / F / G / H (MK1). CF-31 J / K / M / N / P / Q / R (MK2). CF-30/CF31 MK1, MK2, MK3 AND MK4. For Panasonic Toughbook. CF-30 BACKLIGHT KEYBOARD. BACKLIGHT KEYBOARD. Why buy the whole keyboard while all you need is one missing key for a small fraction of price?. Used bottom Cover for Panasonic Toughbook CF-54. Panasonic TOUGHBOOK CF-53 14.0" WXGA HD Screen Complete B140XW01 LCD V.9 !READ! NOTE: 1/2" SCRATCH ON THE SCREEN AN A CRACK ON THE LID. NOTE:1366X768 RESOLUTION. THIS IS NON-TOUCH SCREEN. NOTE: THE INTERNAL CABLE ON THE SCREEN IS 40-PIN (BROWN ) AND NOT 30-PIN (BLACK). Trending at $99.95eBay determines this price through a machine learned model of the product's sale prices within the last 90 days. Item may shows signs of usage. Key for Panasonic Toughbook Laptop Keyboard CF-52 CF-29 CF-30 CF-31 CF-74 CF-53. This is not for the whole keyboard. This is a Panasonic emissive backlit chiclet keyboard from a Panasonic CF-19 Toughbook. This is the upgraded keyboard option from the fully loaded unit, and is a tactile water-resistant backlit military grade keyboard option. Pull ed from working unit. This includes, but is not limited to, RAM slots, LCD screens, Fans, Ports, Motherboards, etc. We do NOT provide technical support, installation instructions, or manuals. Do not buy if you do not agree. Panasonic Toughbook CF-52 Palmrest Touchpad DFKA0062 TESTED GRADE A- CONDITION. Condition is Used. Shipped with USPS Priority Mail. Panasonic CF-VDM311U DVD CF-31 Toughbook DVD R/RW Multi Optical Disc Drive CF31. Condition is Used. Guaranteed working. Panasonic Toughbook cf-19 Housing Top Cover DFKM0595 NO KEYBOARD. We will work with you directly to resolve any issue you may have. 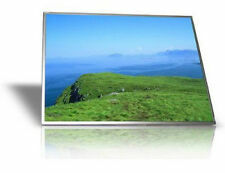 ACTUAL PHOTOS ---- LCD Screen is in great condition - No Scratches No dead pixels. Casing has minor scratches from use but looks Great also. NOTE: THE LCD CABLE TO THE MOTHERBOARD HAS A 30-PIN CONNECTION (TAN) CONNECTOR, NOT BLACK. Actual photos -shows normal sign of previous use. ORIGINAL GENUINE PART. REMOVED FROM A USED LAPTOP. Compatible with all marks of the FZ-G1 Toughpad. Panasonic Toughbook. Optical Drive CF-51. Pull ed from working unit. DVD Multi CF-K51DR. This includes, but is not limited to, RAM slots, LCD screens, Fans, Ports, Motherboards, etc. Do not buy if you do not agree. NOTE:GRADE B CONDITION. IF YOU HAVE A ISSUE, I PROMISE TO QUICKLY WORK THINGS OUT. Pulled from a working unit. Includes mounting screws. no scrates or dings! The Panasonic ToughBook CF-53 LCD Front Bezel 14" Black DFKF0322 has been graded A. This item is 100% functional, and in very good condition. HDMI Port Boards. LCD Back Covers. LCD Bezels. 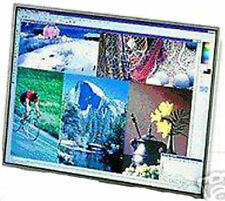 LCD Complete Assemblies. The Panasonic ToughBook CF-17 LCD Laptop Screen Glossy 8.4" LTM08C343P has been graded A. This item is 100% functional, and in very good condition. LCD Back Covers. LCD Bezels. LCD Complete Assemblies. Pictures are of actual product and indicative of condition. Toughbook CF-52 Screen Assembly. #7968, 28F. Toughbook Screen Assembly. 15.4” CCFL LCD. Extra cost for Overnight or Air. Generally Priority or Parcel select. Panasonic ToughBook CF-52 MK3 15.4 1280X800 Complete Screen Assembly WXGA !READ! NOTE: THERE ARE SCRATCHES ON THE SCREEN. THERE ARE SCRATCHES ON THE COVER AND SCRATCHES ON THE BEZEL. NOTE:1280X800 RESOLUTION. THIS IS NON-TOUCH SCREEN. IF YOU HAVE A ISSUE, I PROMISE TO QUICKLY WORK THINGS OUT. OEM Panasonic Toughbook CF-19 MK4 10.4" LCD Touchscreen Complete Assembly. -Pulled from working toughbook - includes screen protector - very low hours so screen is in excellent condition - includes antenna covers. This part is for the CF-18 and CF-19 model. This is NOT a cheap third party part manufactured in China. This is a Panasonic ORIGINAL OEM part. Panasonic CF-C1 covers and misc parts. ACTUAL PHOTOS. Good Working Part. Condition: Genuine part, Good condition. Screen has visible scratch. Back Cover shows noticeable signs of use, has scratches. Actual item pictured.